Overall, I was pleasantly surprised by Dr. Natura Flora Protect Probiotic. This supplement exceeded my expectations as a daily probiotic and I can even see the potential for taking it for a specific ailment. As most of you know, sometimes you have to compromise when it comes to probiotics. 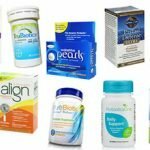 However, with Dr. Natura Flora Protect, I was able to check off a lot of my “must-haves” for a probiotic, without having any major drawbacks. First off, I like my probiotics with as little “added” or “weird” ingredients as possible. Dr Natura did just that. Whenever possible, they use natural and minimally processed ingredients, which leaves you with a purer product. The supplement is free of dairy, gluten, wheat, egg, and fish, so this has great potential for those of us with food intolerances and allergies. I also love the convenience of this probiotic because you don’t have to refrigerate it. The probiotic strains are also freeze-dried, which helps keep the integrity of all the good bacteria through the best by date. Last but not least, with 8 billion cells daily, my belly felt really good while I was taking these probiotics and even my health in general seemed to gradually improve. (I have a tendency to get sick at the drop of a hat and also suffer from IBS). So now for my only two dislikes with this probiotic. At $1.16 a day, Flora Protect is definitely on the pricier end of probiotics. Also, the capsules do contain trace amounts of soy protein and have rice maltodextrin. They almost hit every mark for big allergy concerns. But if you do have soy or rice allergies, I’d suggest finding another supplement that’s guaranteed to be free of these. All in all, Dr. Natura Flora Protect comes in as one of my favorite probiotics. It’s a well-rounded supplement that has pure ingredients, convenience, and flexibility in terms of what it can be used for and those who have food allergies. Dr. Natura Flora Protect Probiotic contains 8 strains of probiotic bacteria that are freeze dried with 8 billion cells per serving. Of note, Flora Protect contains the strain Lactobacillus acidophilus, which is a naturally-occurring bacteria found in the body. I really love the addition of this strain because it’s been shown to help relieve a wide range of common ailments. Some of these ailments include stomach discomforts such as constipation, bloating, diarrhea, and gas. L. Acidophilus may also be effective in helping alleviate Ulcerative Colitis, Irritable Bowel Syndrome, Crohn’s Disease, urinary tract infections, respiratory infections, and acne. Another great addition to the strain profile is Streptococcus thermophiles. 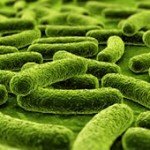 These bacteria can be found in the large intestine and may help benefit the immune system and the digestive system. S. thermophiles may be able to help those with lactose intolerance because it produces the enzyme lactase, which helps the body break down and digest milk. This strain may also help lessen the symptoms of leaky gut syndrome, decrease acute diarrhea, increase good cholesterol, and help balance the bacteria levels in the body. Flora Protect also contains Fructooligosaccharides (FOS), which is a sugar that helps the friendly bacteria survive your body’s harsh stomach acid and make its way into your intestinal tract (where it can go to work helping boost your immune and digestive system). Dr. Natura Flora Protect Probiotic hits the mark for a lot of common allergy concerns. 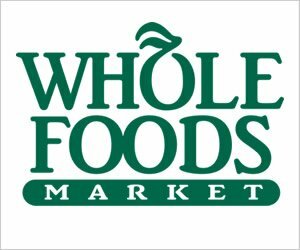 The supplements contain no wheat, milk, egg, shellfish, yeast, starch, gluten, or salt. As added perks, there are no artificial flavors or colors and the product and capsules are both vegetarian! Other ingredients include: Cellulose (capsule), Fructooligosaccharides (FOS), Ascorbic Acid (Vitamin C), Magnesium Stearate (Vegetable source), Rice Maltodextrin, and Enteric Coating. So for those of you with severe allergies to either soy or rice, you may need to be careful with this product or choose one that is 100% free of these allergens. Flora Protect comes in at $35.00 a bottle for 60 capsules. The directions say to take 2 capsules daily (specifically at night, right before you head to bed), so the daily cost of taking it is about $1.16. 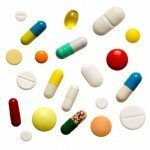 Probiotics costing more than a dollar a day are definitely more expensive than the average probiotic supplement. However, this is certainly not the most expensive probiotic that we’ve seen! While taking this probiotic, I didn’t feel any side effects. This is a huge plus because with a lot of probiotics, you often times experience mild stomach discomfort and bloating. I’m very thankful and excited not to have seen any adverse effects from this supplement! Another fantastic feature about Dr. Natura Flora Protect Probiotic is that it has a satisfaction guarantee. If you aren’t satisfied with any of Dr. Natura’s products, you can return it within 60 days and get a no-questions-asked money back guarantee. I have to give major props because many probiotic companies fail to have any sort of guarantee, especially not a 60-day guarantee. 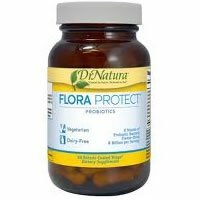 To buy Dr. Natura Flora Protect Probiotic, click here.